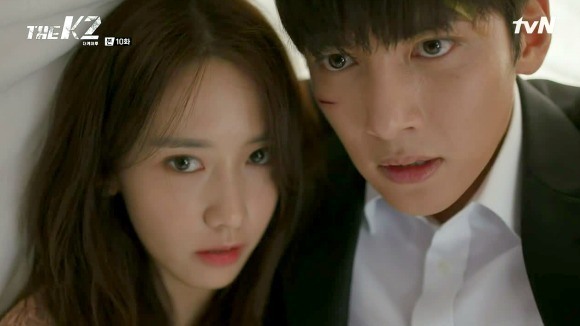 Cable channel tvN’s weekend drama “The K2,” starring Ji Chang-wook and Yoona, has managed to top weekend drama viewership ratings for seven consecutive weeks. According to a compilation of IPTV’s viewership ratings, “The K2” garnered an average of 5.1 percent viewership, with a peak of 5.9 percent for Friday’s episode. Since its premiere, “The K2” has retained its position as the most popular weekend drama, scoring the highest viewership ratings for its time slot. Viewers have also raved about the cast’s acting, especially Yoona, who had faced doubts about her ability due to her status as a pop idol-turned-actress.